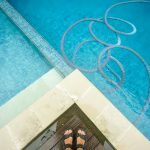 Home » Blog » What does a phosphate have to do with a swimming pool? When testing your water chemistry, most check for sanitizer (chlorine and bromine) and pH. Others testing for commercial pools and on a weekly basis for homeowners include tests for alkalinity, calcium hardness, and cyanruic acid. There are many other tests out there including cooper, iron, salt, TDS, nitrates, and phosphates. But why are we testing for phosphates? 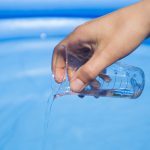 Phosphates are mostly inorganic materials that have the potential to feed and encourage algae growth in your swimming pool, as well as cloud your water. Algae needs sun, water, air, and a food source such as nitrates and phosphates to flourish. That is why a swimming pool is the perfect environment for algae to bloom! But you say that you don’t add phosphates to your pool. So, how are they getting into the pool? Your pool is in an open environment subject to sun, water from rain, air, and algae food that can be introduced in many ways. These phosphates are present in your landscaping and fertilizer materials that can be introduced through wind and water run-off by means of rain or your own backyard watering efforts. Those phosphates can be deposited from environmental debris that enters in pool in the form of leaves and tree droppings. Also, you may be unknowingly adding phosphates to your water if you use any chemicals that contain phosphoric acid or phosphorus materials, or if your fill water has phosphates in it (as many towns are now using them). Ideally, you want no phosphates in your water. A level between 100-125 ppm is acceptable, but once you start to get higher than 500, it is time to start treatment. In order to rid phosphates from your pool, you will need to use a chemical to remove them. This chemical will not kill algae; it is simply a phosphate removal system. The best way to prevent against algae and phosphate growth is to perform regular pool maintenance. Brushing regularly is key to preventing algae. 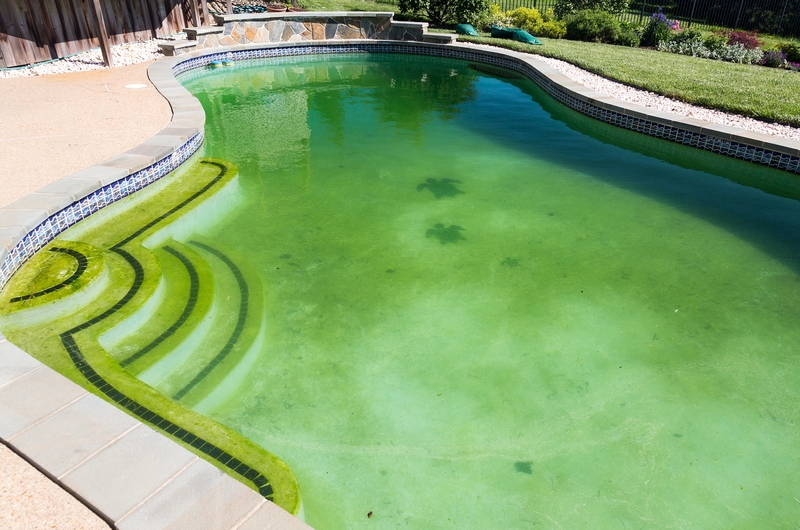 Many people rely on their pool professional to perform this once weekly service, but when you have high phosphate levels and lots of sun, algae can quickly and easily develop. So in between your weekly visits, you may want to consider joining in on the efforts to keep your pool algae free. You want to remove debris such as leaves, sticks, bugs, etc. as soon as possible. Emptying out skimmer baskets on a regular basis will also get rid of the debris quicker. It will also improve the water circulation. You also want to inform your landscaper or whoever takes care of your lawn and landscaping to take special care around the pool to not deposit the waste into the pool. If you are cleaning up your surrounding deck areas, also be sure not to spray or brush deck debris into or toward the pool. If you have a high phosphate level, you want to consider using a phosphate remover. This phosphate remover will remove the phosphates in an effort to thwart algae growth. Maintaining a proper sanitizer level with frequent brushing and vacuuming is the best way to prevent algae growth. This two-fold system will help to ensure your pool stays clear and algae free this summer!